Leaf – Zen Japanese Restaurant Logo. The customer caters to the upper middle market segment. The design projects a quiet natural elegance to complement the intended atmosphere of the restaurant. The black used for the “zen” symbolize the zen concept of emptiness, while the white purity. The ancient chinese script projects a sense of tradition in a generally neo modern design, this mirrors the food being rooted in traditional recipes but presented in a modern way. The green leaf embodies that which natural, wholesome and hints at life itself. The overall design projects the restaurant as not just a place to eat but as a choice and statement of life style. Noodle – Yi Mian Fu Logo. The customer serves cooked noodles for massed market segment. The logo uses a bright and striking colour scheme to attract attention and to give a cheerful feel. The chinese words are stylized as a chopstick, noodles and bowl. The round circle symbolize “fullness”, or in other words, a satisfying meal. SND – SND Logo. 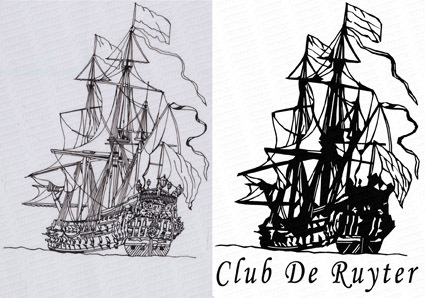 The customer had a rough sketch with which they wish to print a number of tshirts. We refined the logo to a ready to use high resolution state and then printed the tshirt for them.